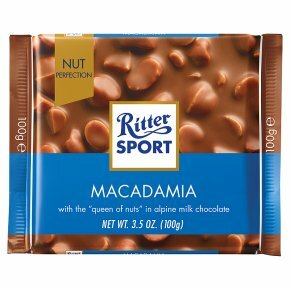 Alpine milk chocolate with halved macadamia nuts (12%) and chopped macadamia nuts (4%). Nut perfection. With the"queen of nuts"in alpine milk chocolate. Quality, chocolate, squared.